Reserve your seats now! There are only 16 seats available for each experience. Tickets can be purchased when boarding, but we cannot guarantee there will be seats available. We recommend purchasing online in advance. We begin all of our trips at REI (350 Independence Blvd, Virginia Beach, VA 23462). Arrive 15 mins early so you won’t miss the bus. Then we proceed to the Oceanfront. We will drive slowly down Atlantic Avenue, beginning at 12th street, ending at 56th street. Exact stops are still being determined. We will be sure to email you with this information prior to the trip. Hop on Board! Below are our weekly events. Register now! Travel across the Chesapeake Bay Bridge-Tunnel, awarded as one of the “Seven Engineering Wonders of the Modern World,” and explore Kiptopeke State Park. Choose from a variety of activities: kayaking and swimming at the beach, nature trails to explore, bike riding on quiet roads or try your hand at crabbing. 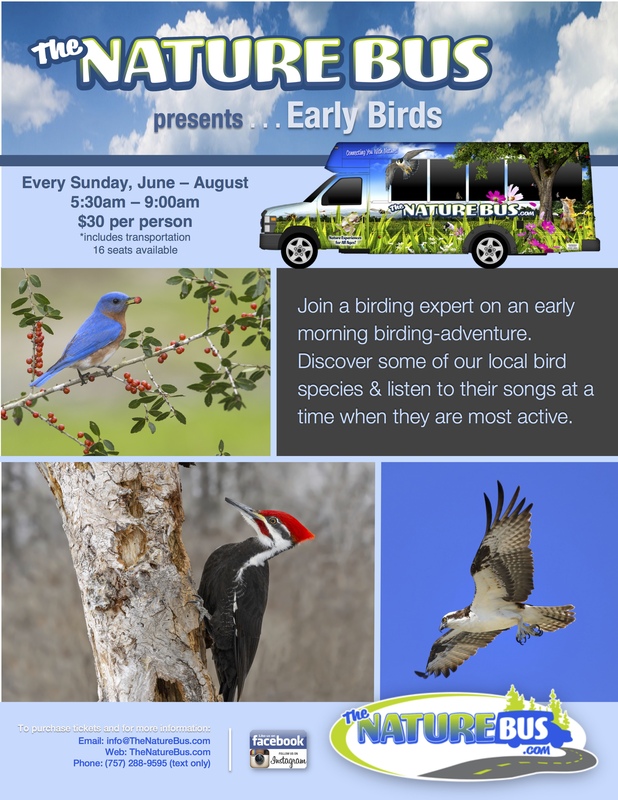 Join a birding expert on an early morning birding-adventure. 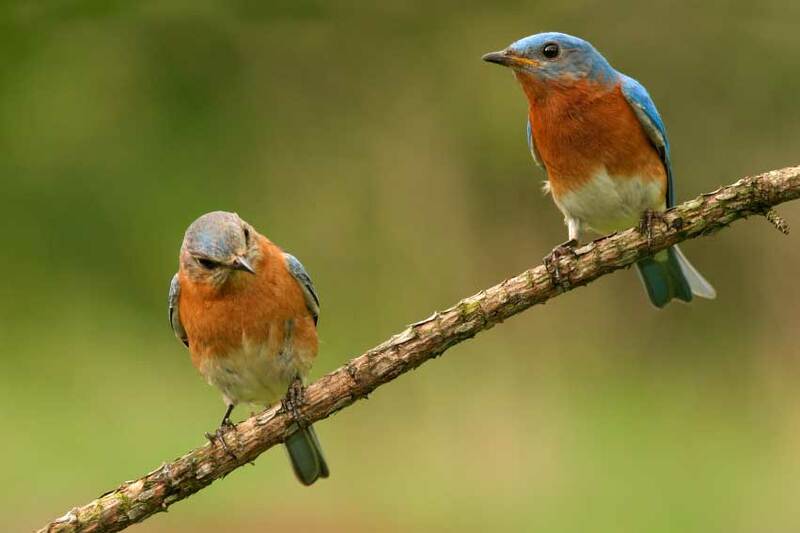 Watch and learn about some of our local species, and listen to their songs at a time when they are most active. 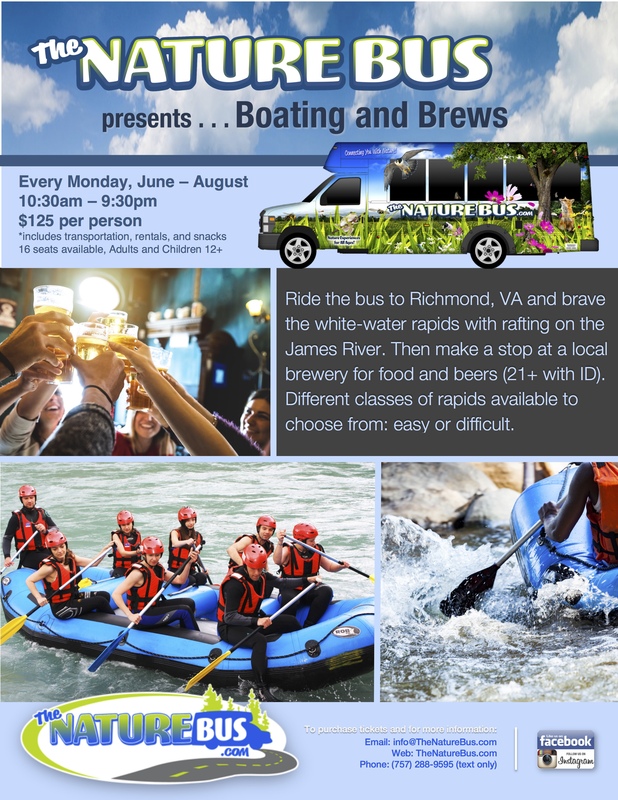 Ride the bus to Richmond, VA and brave white-water rapids with rafting on the James River. Then make a stop at a local brewery for food and beers. 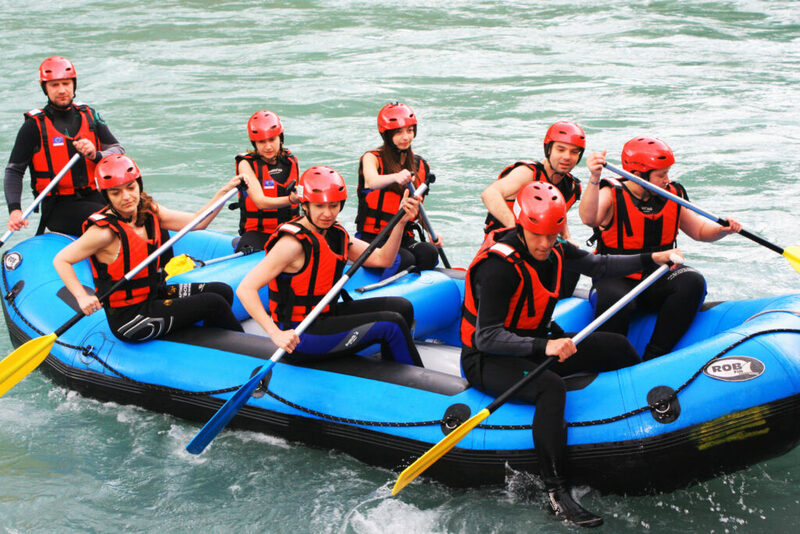 Different classes of rapids available to choose from: easy or difficult. 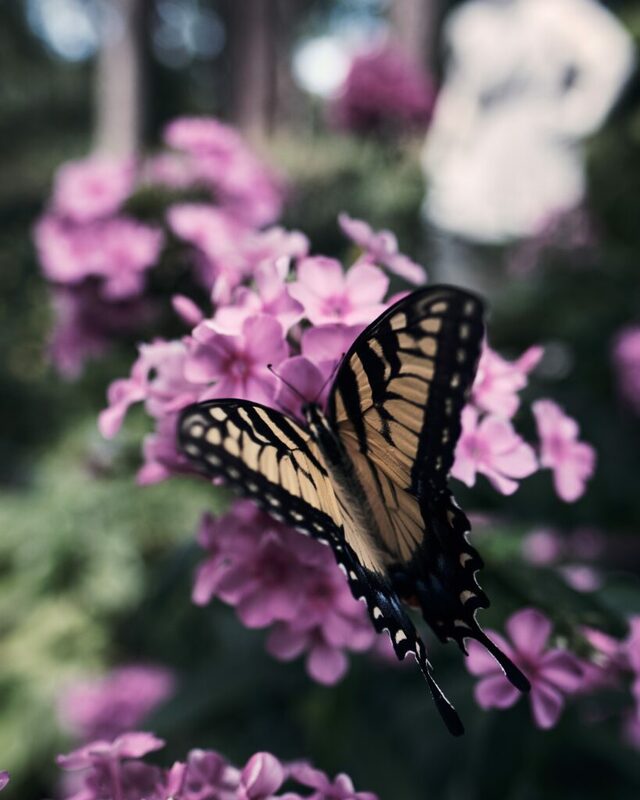 Explore Virginia’s largest Botanical Garden with a naturalist as your guide. Walk and ride a tram around 175 beautiful acres made accessible to discover gardens in bloom, greenhouses, a butterfly house, and much more! 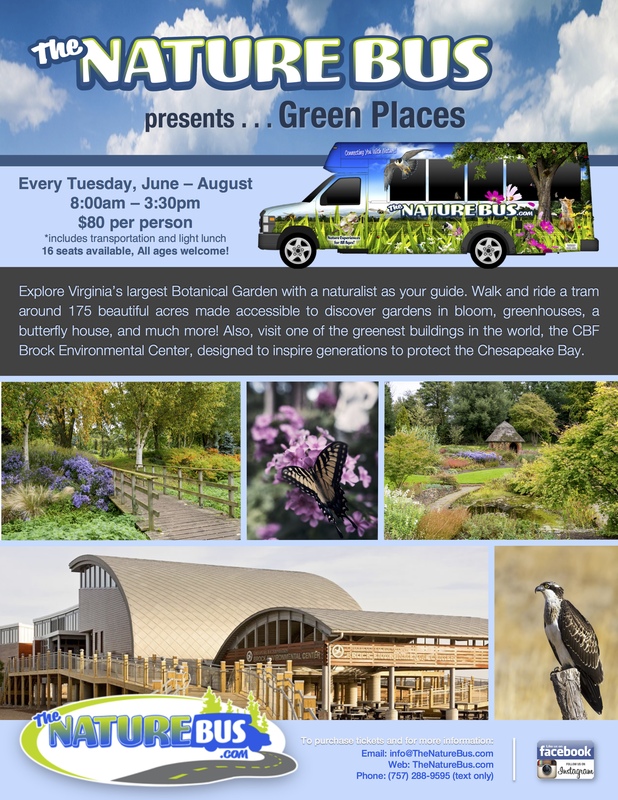 Then, visit one of the greenest buildings in the world designed to inspire generations to protect the Chesapeake Bay. 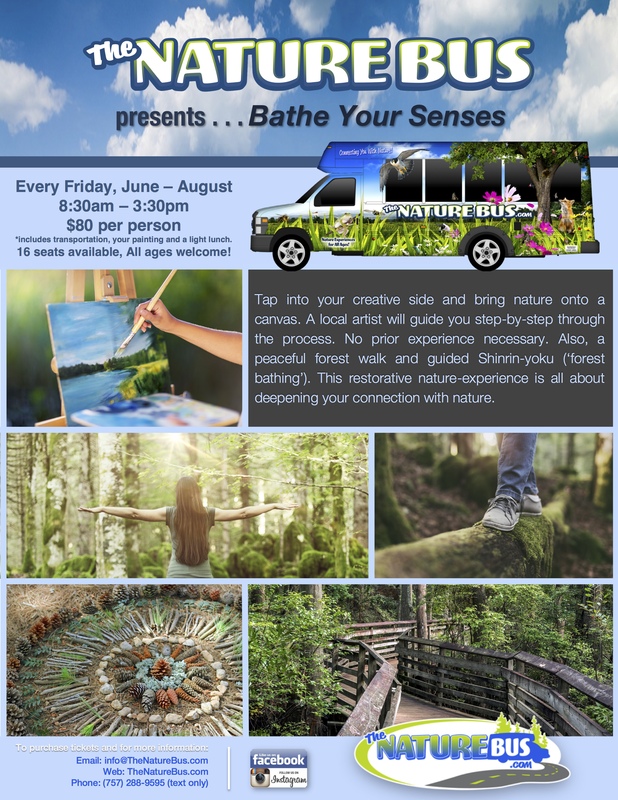 Take a ride on the Nature Bus. View and visit sites on this intimate city-sightseeing tour interpreted by a Historian. 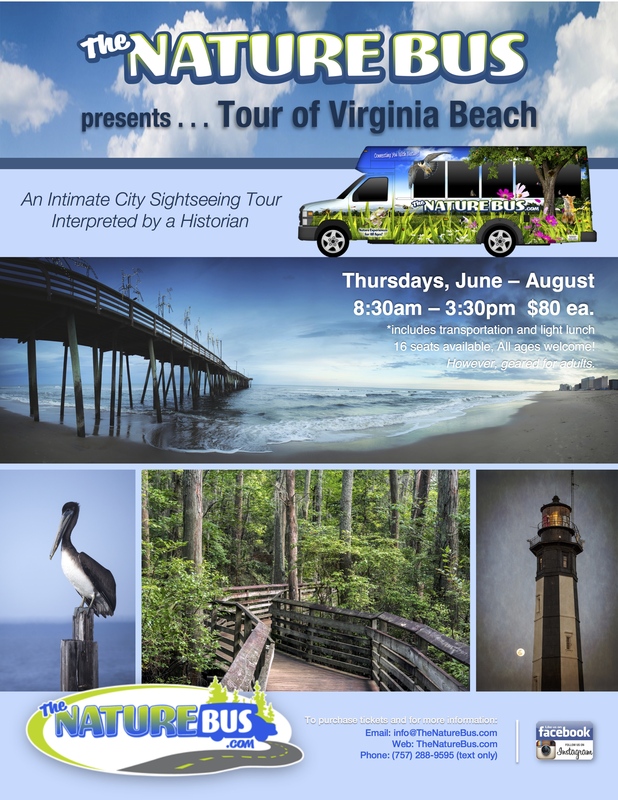 All ages welcome, however, this tour is geared towards adults. Expect a moderate amount of walking. Important: When visiting the Cape Henry lighthouses, there is a security check upon entering the Fort Story military base. No weapons of any kind (i.e. knives, guns, etc.) will be allowed through. A photo ID for each guest is required. 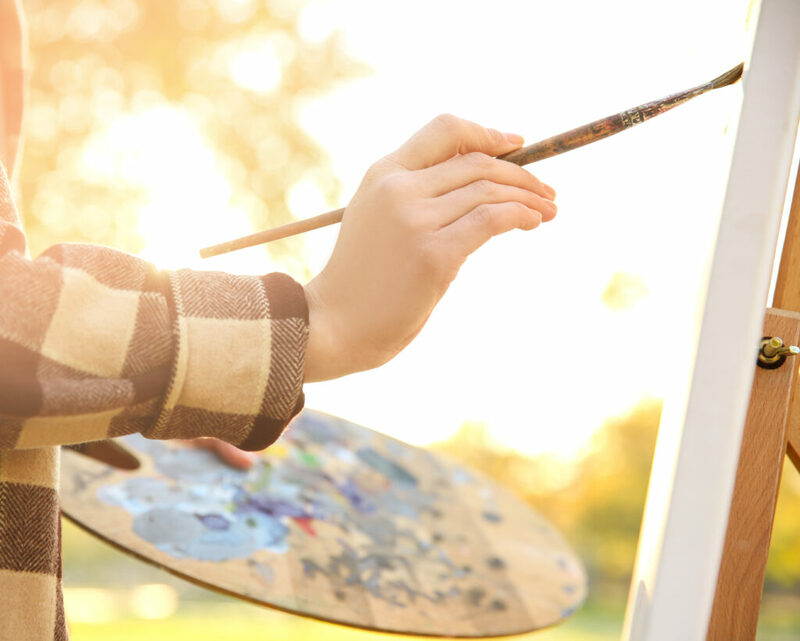 Tap into your creative side and bring nature onto a canvas. A local artist will guide you step-by-step through the process. No prior experience necessary. Following, a peaceful forest walk and guided Shinrin-yoku (‘forest bathing’). This restorative nature-experience is about deepening your connection with nature.